2. Choose one of the villas included in the deal that is available as per below. Upgrade is available for £75.00 per extra bedroom. For full Terms and Conditions, visit the Voucher Deal page here. 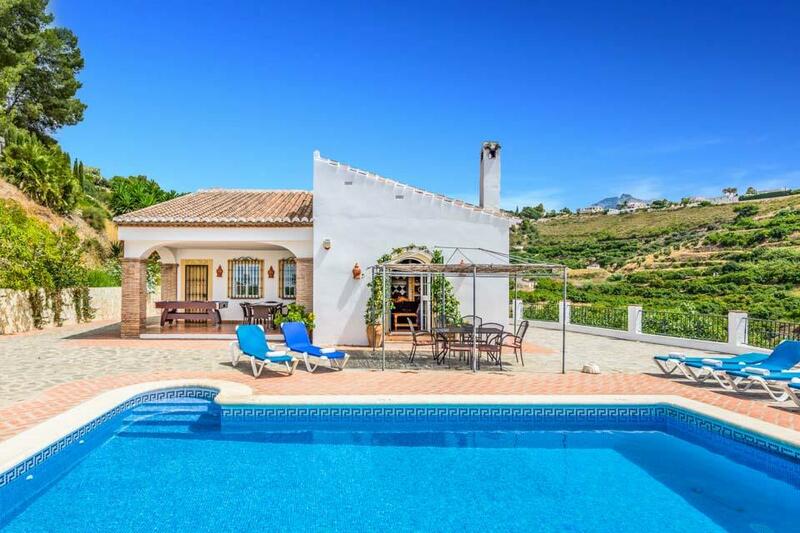 **Save up to 25% by arriving and departing on the standard changeover day**We were tremendously lucky to discover Villa Jara, a really superb villa located in a slightly elevated position in Nerja, with beautifully cared for enclosed grounds and panoramic sea views. Villa Jara is a charming property that exudes comfort and quality in equal measures and benefits from being a leisurely stroll from a selection of local shops, café bars and restaurants, and less than 3km from the popular Nerja beachfront..
**Save up to 25% by arriving and departing on the standard changeover day**Nerja has long been a favourite destination of ours. As soon as we visited Villa Mango, we knew that we were on to a winner. The proud owners maintain their villa with the greatest of care, and the careful attention to detail is clearly evident throughout this beautiful home. The interiors are bright, airy and very spacious, absolutely perfect for young families in particular, thanks to the thoughtfully constructed gated pool..
**Save up to 25% by arriving and departing on the standard changeover day**The bright and airy Villa Elisa sits in an area that boasts wonderful views of the surrounding Almijara mountains and countryside. 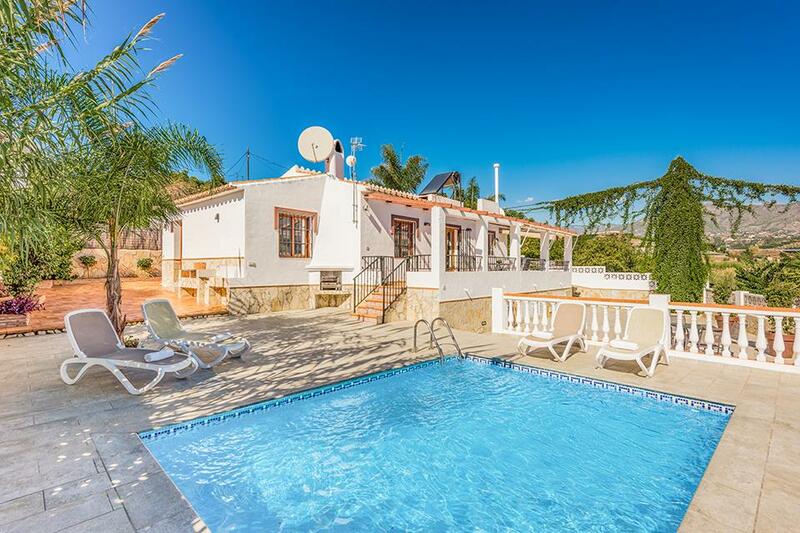 Only a 5 minute drive to the beautiful sun-drenched beaches of Nerja this delightful 3 bedroom and 2 bathroom air conditioned property offers all you could need for a relaxing holiday in the Spanish sunshine with several beautiful terraces to enjoy those fabulous views. The wonderful resort of..
**Save up to 25% by arriving and departing on the standard changeover day**Villas with private swimming pools and large private lawned gardens, located on the outskirts of Nerja with its popular sandy beaches and bustling town centre are extremely rare, especially those boasting fabulous sea & mountain views, hence our delight in adding Villa Pastora to our expanding portfolio of hand-picked villas in Nerja. This really is a very special bolt hole for those seeking a serene, comfortable..
**Save up to 25% by arriving and departing on the standard changeover day**This charming villa with a private swimming pool is accessed by a gated entrance offering plenty of parking space and is set in a privileged rural location near the award winning village of Frigiliana offering beautiful views over the local countryside. The beaches of nearby Nerja and a wide selection of shops, bars and restaurants in both Nerja and Frigiliana are only a 10 minute drive away enabling you to enjoy the best..
**Save up to 25% by arriving and departing on the standard changeover day**Villa Cortijo Lomas is a fabulous villa located in a truly privileged elevated position a short stroll from the popular family friendly sandy Burriana beach in the cosmopolitan resort of Nerja. 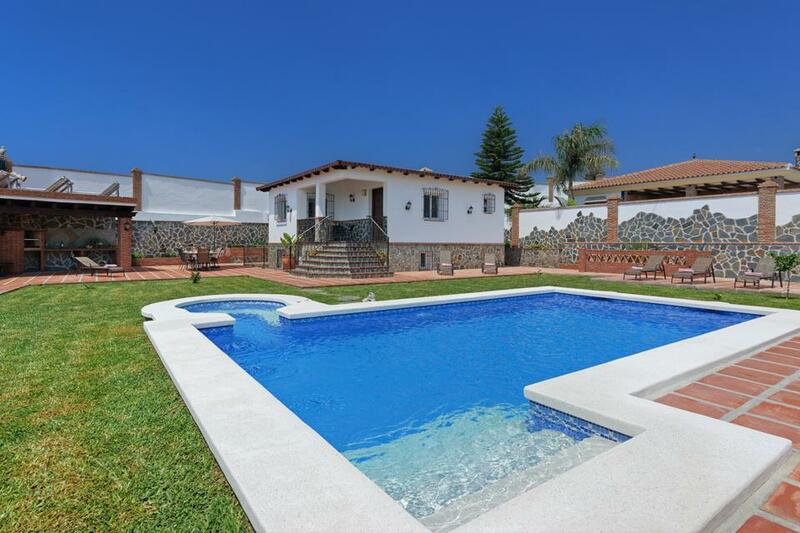 With its advantageous setting, a mere 900 metres uphill from the sparkling coastline and within a twenty minute stroll into the centre of Nerja, we consider Villa Cortijo Lomas to be the perfect villa for a relaxing family holiday,..
**Save up to 25% by arriving and departing on the standard changeover day**It is rare to find a villa within in walking distance of the amenities Frigiliana has to offer, this villa really does maximise the incredible views afforded of the valley below. Imagine gorgeous Spanish countryside as far as the eye can see. 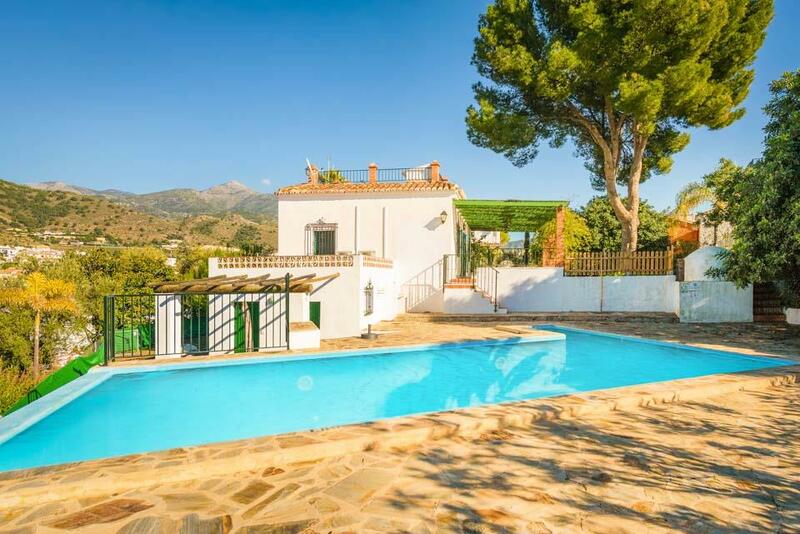 Avocado trees and tiny rooftops of the nearby village, Frigiliana are dotted about the rustic countryside, offering up a peaceful view from the villa. With three bedrooms, capable of..
**Save up to 25% by arriving and departing on the standard changeover day** Set in large, private, mature lawned gardens with fantastic views out to the sparkling sea and the picture postcard town of Nerja below, Villa Antonio boasts one of the most privileged locations in Nerja. South facing, with a panoramic vista, an easy drive of less than one hour from the airport and within walking distance to resort facilities, in other words, the owners have pretty much got the setting just right. 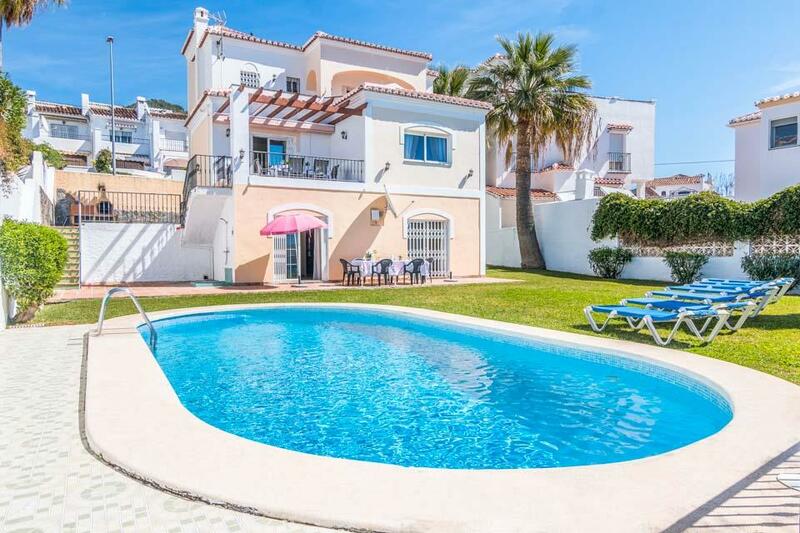 The..
**Save up to 25% by arriving and departing on the standard changeover day**This delightful villa is located in a quiet residential area within easy reach of Nerja’s colourful and lively town centre, and its popular and safe sandy beaches. 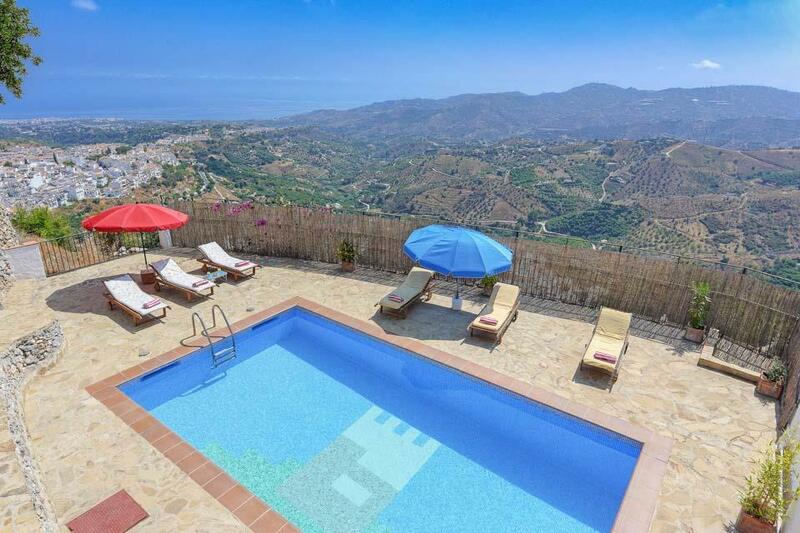 There is a supermarket, a couple of restaurants and cafe within 500m of the villa, with the centre of Nerja with its array of shops, restaurants and nightlife as well as the famous ‘Balco de Europa’ less than 2km away. Lower Floor Bedroom 1 Double..